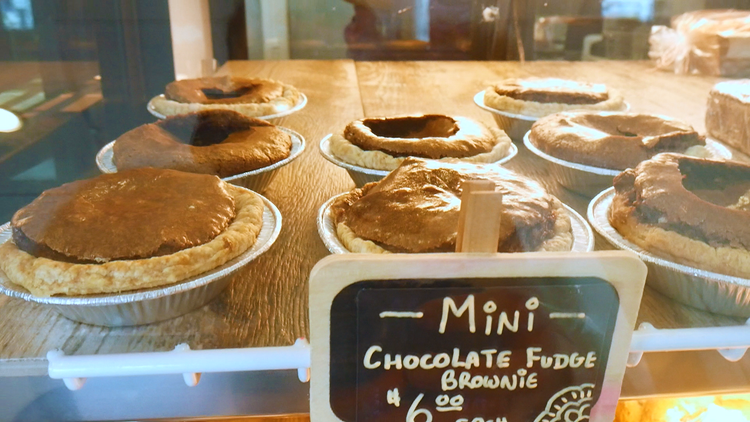 This week's Eat It Up is all about Honey Pies, a coffee house & bakery where they create small-batch artisan baked goods. LITTLE ROCK, Ark. (KTHV) - This week's Eat It Up is all about Honey Pies, a coffee house & bakery where they create small-batch artisan baked goods. 1.) 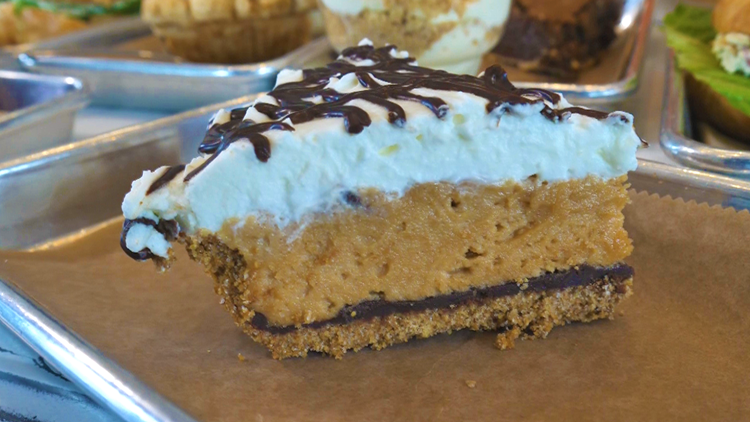 Honey pies has won best pie in Arkansas by numerous publications and the Food Network listed their Peanut Butter Cream pie as one of the top pies in the nation! 2.) 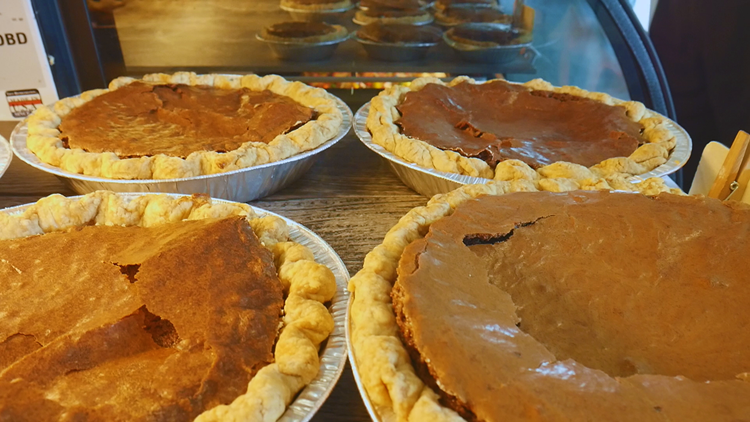 The owner, Sharon Woodson, said the inspiration for Honey Pies stems from her grandma's passion for cooking. In fact, throughout the shop you can find pieces of clothing and cooking tools her grandma used in Woodson's younger years. 3.) Woodson said many people ask what the secret ingredient is for their pies. Her answer is LOVE and a LOT of butter! 4.) 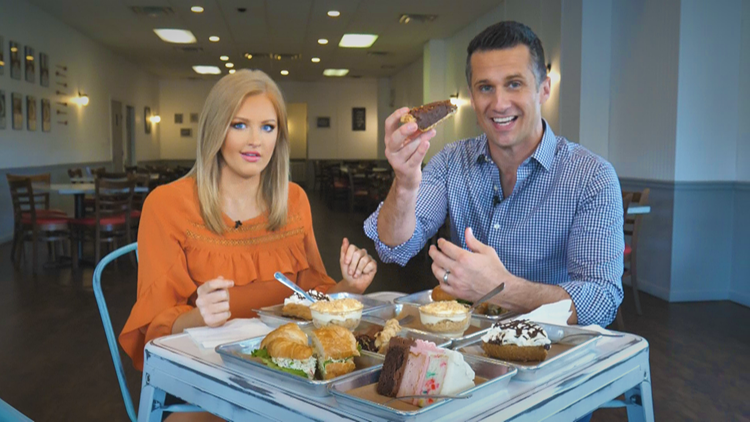 They sell nearly 1,000 pies around Thanksgiving but, ironically, the top selling pie isn't what you might think; it's their fudge brownie pie! It's the pie Woodson said "started it all!". 5.) Honey Pies also sells lunch and gourmet coffee drinks. They partner with the Arkansas Food Bank with their "One Cup, One Meal" program. Honey Pies donates a meal for every cup of coffee sold. They have donated over 13,500 meals in Central and Southern Arkansas since the inception of the program. Rob - The chocolate fudge pie is all that is right with this world. Amanda - They’re all about the pies but try the cake. I honestly can’t decide which I like more!